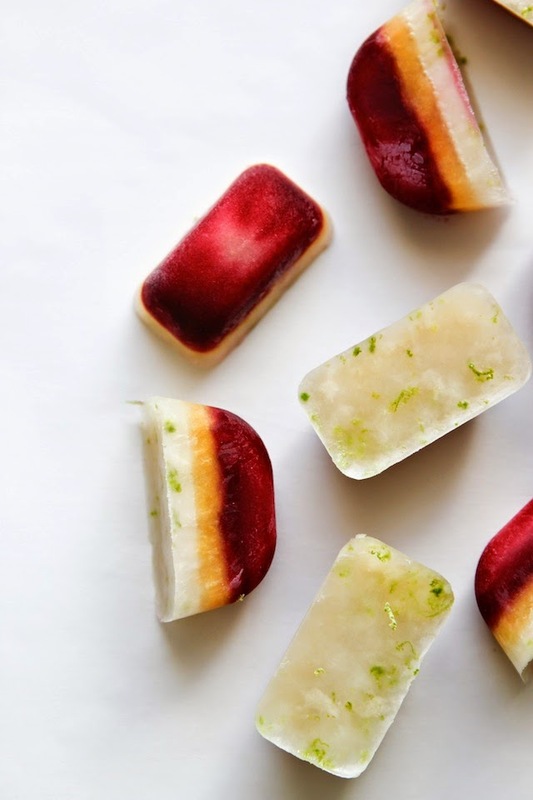 We love making homemade popsicles. And the other day my 4-year-old asked if we could make some popsicle ice cubes-as he calls them. They are so easy and a perfect little treat for the summer. We used grape juice, orange juice and limeade. I just put about a teaspoon of each juice in the ice cube tray and waited for each layer to freeze before adding the next. My son loved helping me to make these. And of course the kids just eat them like a little popsicle, but they are so good to add in to a glass of juice. They were delicious in the limeade. I can't wait to make more of these as the weather gets warmer.